Door Hoods | Kreider's Canvas Service, Inc. 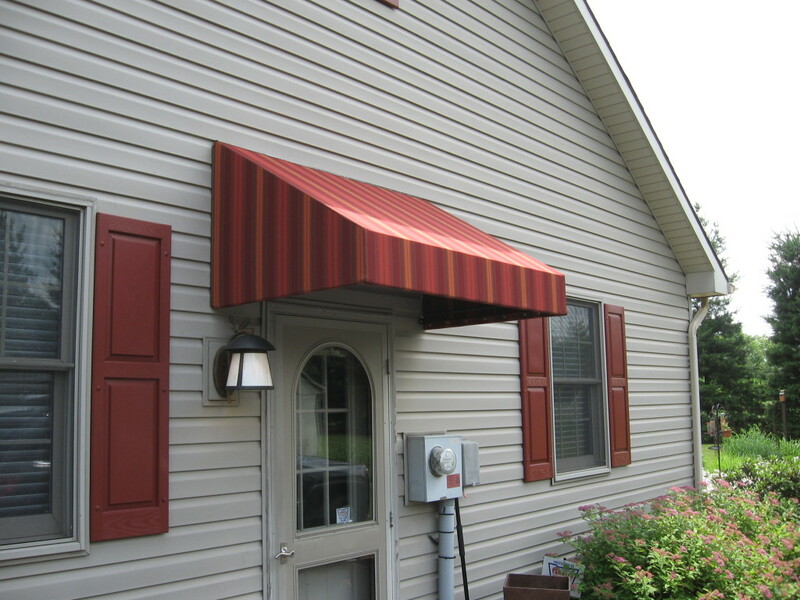 Protect your entrance-way by installing a beautiful custom made doorhood! Never stand in the rain again as you fumble with your keys to open the door. 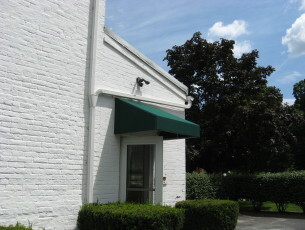 Provide a sheltered standing area during harsh weather! 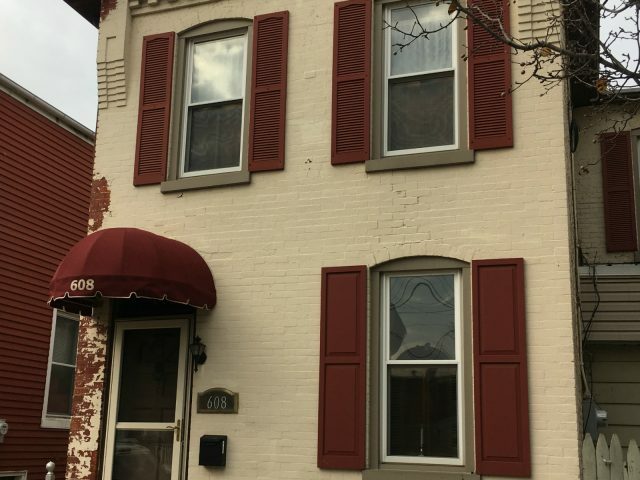 Protect your door from rain, snow and the sun! Add color and dimension to the facade of your home! Protect your entranceway with a canvas doorhood. 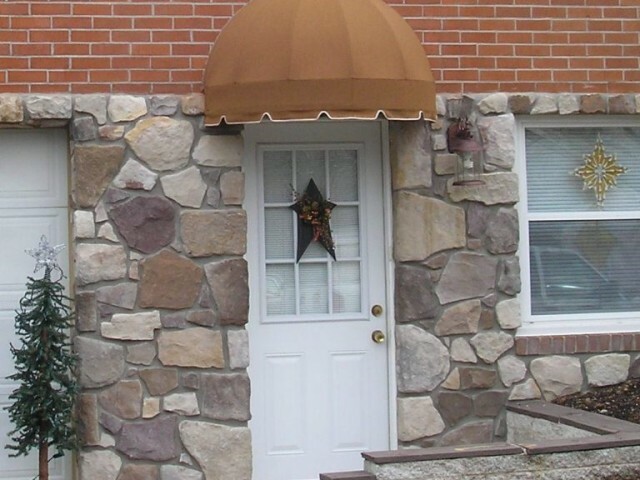 Protect and enhance your front door with an awning. Bullnose style radius welded frame design. Add lettering or custom patterns. 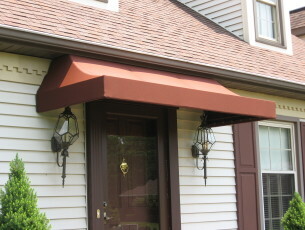 We just want to thank you for an awesome canopy over our deck. It has exceeded our expectations! After years of not being able to enjoy our deck on hot, sunny days, it has made our deck a very comfortable extension of our living space. One of the really neat things we now is enjoy is being able to sit out under the canopy while it is raining! We can’t say enough about our new canopy and the quality of the workmanship!